After using this shampoo for two months or so I'm not a fan at all. 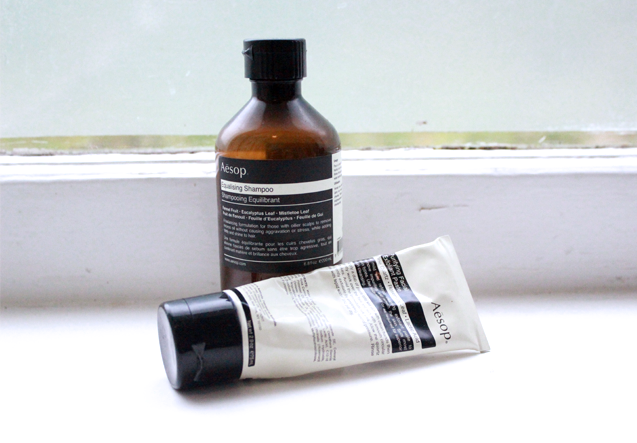 Originally it was for my boyfriend but he wasn't convinced and didn't want to try it, it's meant to balance the scalp and give soft and luxurious hair. Well personally I felt my hair was actually getting oily quicker using this than my regular supermarket shampoo and wasn't really making me feel like I had luxurious hair. The smell isn't great and the cap makes it really hard to get the product out, so in the end I just gave up with this shampoo and returned to my old one. It might be better paired with a conditioner but overall I wouldn't be too pleased to pay this much for a shampoo and not get glorious hair in return, but for free I guess I can't complain. Okay so I mentioned loving this back in my October Catch Up post and I really do. I don't remember to use it as often as I probably should, they recommend twice weekly, but whenever I do my face just feels really soft and smooth. The cap allows for nice product flow however I will say the downside is the smell, it's Rosemary and Lavender which I really don't like but ya know it works nicely so I put up with the smell. I guess that's what you get for a more natural plant based exfoliant, I probably wouldn't buy this for myself for that price but it does make a nice gift. I received this for Christmas last year from my boyfriend's uncle and I've only recently got to the last little bits of the body cleanser and shampoo. I only allow myself to use this when I travel and being a student I don't do it that much so it has taken a while. But I do prefer this shampoo to the one above although again I think I do prefer my supermarket products. Obviously only using these while travelling I haven't tested them out for a longer amount of time but they do the job and are all included in a cute mini travel kit. I personally prefer these scents to the larger products but that's all personal preference really, I do really like how they don't have vanilla in as, thanks to my mother, I don't like the smell of vanilla and a lot of supermarket products do have a vanilla base. 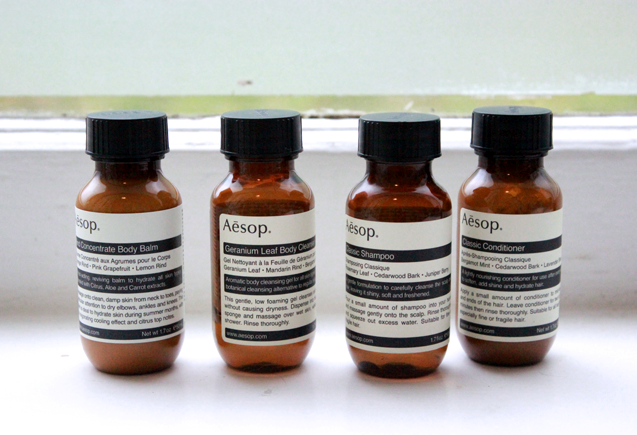 These were all gifted to my boyfriend and I from his relatives from Australia however Aesop website does ship to New Zealand if you're wanting to make some luxurious purchases for Christmas.